We deliver get well gifts and bouquets full of cheer to local Long Island Hospitals including Good Samaritan Hospital, St. Francis Hospital and North Shore LIJ Hospitals. We also deliver beautiful sympathy flowers and funeral flowers to all local funeral homes including McCourt and Trudden, & White's Funeral home, Chapey & Sons, O'Shea, Boyd, Dalton, Kearns and Vernon C. Wagner funeral homes. 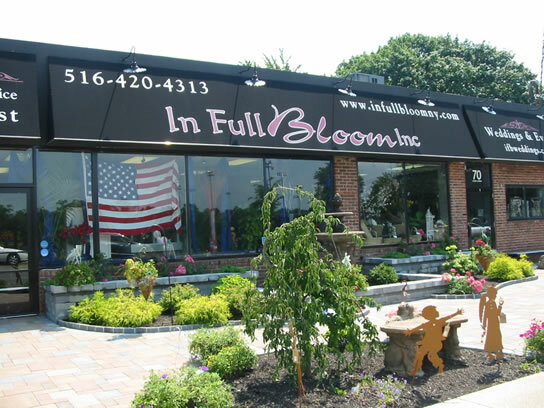 Fresh flower delivery and gift delivery is available in and around Farmingdale, including the nearby towns of Massapequa, Melville, Huntington, Bethpage, Plainview, Wantagh and Seaford, NY. Nationwide flower delivery is also available through our reliable florist network.